Janus isn’t a brand new band, but despite being around since 1998, their following is still fairly quiet. 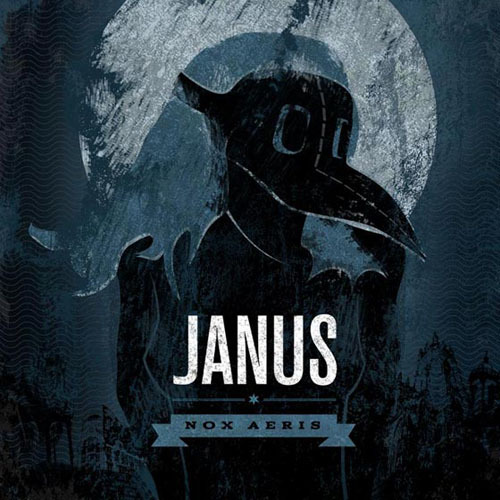 While some people might want to run at the news that Janus is an alternative metal band, rest assured, they aren’t bad and while Nox Aeris sometimes falls into a rut, it is a decent album with some strong points. It only takes moments into “In Flames” to get a good idea of what Nox Aeris will be like as many of the songs follow the same tempo and sort of vocal style. That said, it’s a decent beginning though the general approach begins to wear a little thin by the time the album gets into the second half. The harmonized vocals and heavy guitars are interesting to hear on the early tracks but become a little tired as they get overused throughout the album. “Numb” mixes things up a little with a slightly faster tempo and some good, heavy drumming between verses though the song begins to lose that energy a bit at roughly the halfway mark although the chorus manages to rekindle some of that energy and that’s the case with a number of the tracks, the chorus is what keeps the song interesting. This is just the case on “A Promise to No One” and “Numb,” both of which sometimes fall into the rut that happens a bit throughout the album, but these tracks both have choruses that help keep things from blurring together too much. “Always Rains” is one of those tracks that shows a significant change in mood with a spooky and etherial instrumental intro that is a good change, although just a little too late on the album. The vocals are the carefully balanced and include just the right amount of anguish without becoming a cliche and the song builds at a good pace, keeping listeners interested, although for some it might have been better if it came earlier in the rotation. About halfway through the album listeners could use some variation and “Pound of Flesh” and “Waive” begin to sound a little too similar to many of the other tracks. This is really one of the few faults with Nox Aeris, too little variation in some spots. However, there’s nothing seriously wrong with any of the songs in the collection and other than needing to keep pushing themselves, the album is solid in terms of production and talent.